The R&S®FSV is the ideal instrument for all general-purpose measurement tasks – on the bench, in production, and in the field. 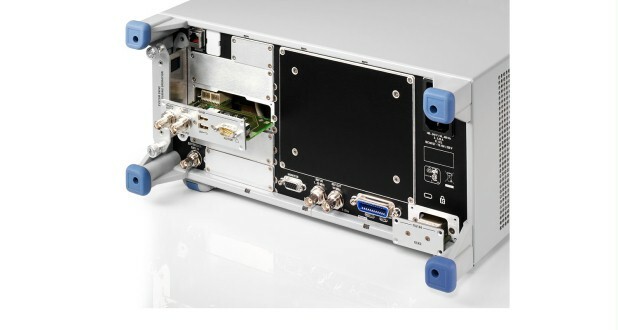 It provides digital modulation analysis for the latest cellular and wireless standards with up to 160 MHz analysis bandwidth for measurements on components, chipsets and base stations. Typical measurement tasks include standard-compliant spectrum emission mask measurements as well as spurious emission and adjacent channel leakage ratio (ACLR) measurements. 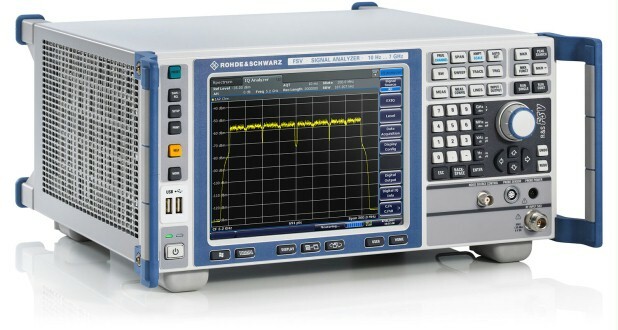 Measurement applications for EMI diagnostics, phase noise, noise figure, analog demodulation and vector signal analysis complete the range of functions offered by the versatile R&S®FSV. DANL (1 Hz bandwidth) 1 GHz –152 dBm, –155 dBm typ. 3 GHz –150 dBm, –153 dBm typ. 7 GHz –146 dBm, –149 dBm typ. 13 GHz –148 dBm, –151 dBm typ. 30 GHz –144 dBm, –147 dBm typ. 40 GHz –136 dBm, –139 dBm typ. R&S®FSV-B22 option 1 GHz –162 dBm, –165 dBm typ. 3 GHz –160 dBm, –163 dBm typ. 7 GHz –156 dBm, –159 dBm typ. R&S®FSV-B24 option 10 GHz –164 dBm, –167 dBm typ. 30 GHz –159 dBm, –162 dBm typ. 40 GHz –154 dBm, –156 dBm typ. Third-order intercept (TOI) f < 3.6 GHz +13 dBm, +16 dBm typ. 3.6 GHz to 30 GHz +15 dBm, +18 dBm typ. 1 GHz carrier frequency 10 kHz offset from carrier –106 dBc (1 Hz), –110 dBc (1 Hz) typ. 1) R&S®FSV40, 1307.9002K39: max. bandwidth 10 MHz. 2) Not for R&S®FSV40, 1307.9002K39. 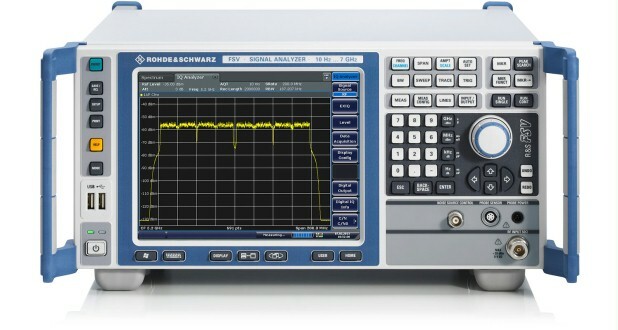 3) The R&S®FSV30 and R&S®FSV40 support the R&S®FSV-B160 option only up to 7 GHz.